Our huge repository of travel budget data comes from thousands of real travelers and spans over 2,000 cities around the world. The data is constantly updating and expanding. By signing up, you can have access to our amazing travel cost researching tools so that you can help your clients plan the best trip possible for their budget. How much should lunch cost in Paris? What are the entrance fees for the popular museums? How much does a taxi cost in China? With travel cost data from real travelers, you can give your clients information on incedental costs for destinations around the world. Show them that you care about their travel budgets and they will come back to you for their next trip time and time again. Discover how much real travelers are spending around the world, and become the travel cost expert that your clients want. Turn your new travel budgeting expertise into an advantage, because in today's difficult economic times, everyone wants to know how they can save money. Give your clients destination options based on their travel budgeting goals. The Travel Cost Research tool is included in our Free plan. As a travel agent, you can simply sign up and get started right away. View city travel costs by category and budget type. Our box and whisker graphs let you know how much people are spending in any given city across a variety of travel budgets. Browse specific item costs, too. 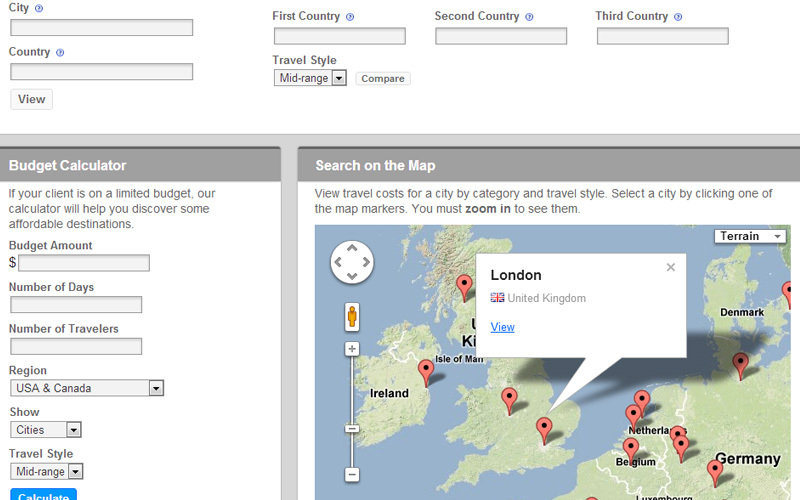 Searching for cities or countries is easy: search by name or use the map. 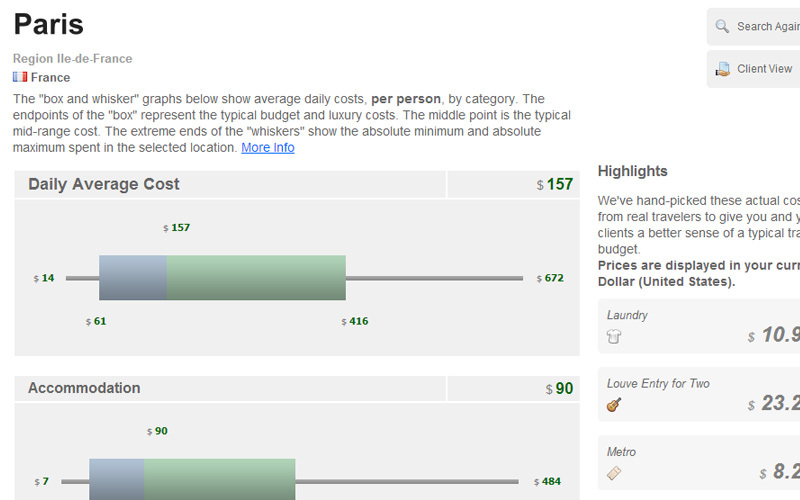 Compare country costs to get ideas for your clients. Or, show cities in a region ranked by cost.